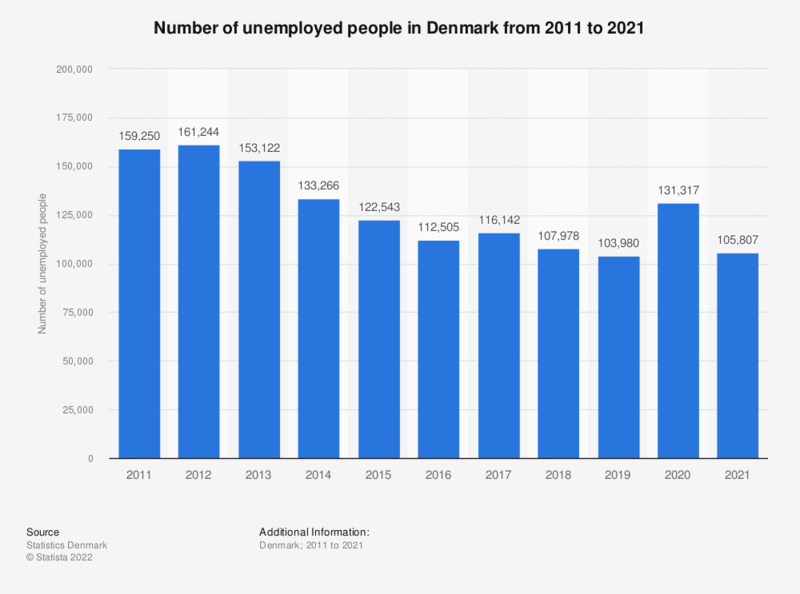 The statistic shows the number of unemployed persons in Denmark from 2008 to 2018. It was highest in 2010, when roughly 163,453 persons were unemployed. Since then the number of unemployed persons has been decreasing and amounted to 107,817 people in 2018.